My mood words for my upcoming visit to the Magic Castle: quirky glamour. I've also been waiting for a chance to debut my raspberry beret from last year (that Melanie gifted me) and this seems like the perfect occasion. The dress code doesn't say anything about hats! My front-facing camera is trying to force me to upgrade my phone. I decided on a black bejewled dress from the VBxTarget line, a black boucle jacket from Carine Roitfeld x Uniqlo, black chunky heels, my LV pochette felicie and my aforementioned raspberry beret. 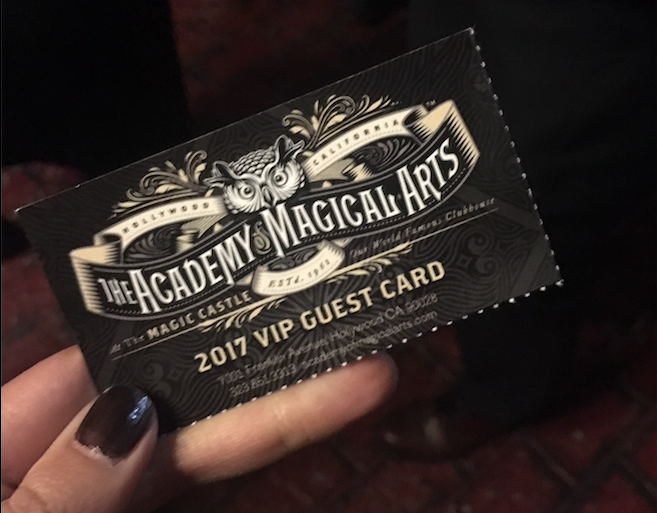 Photos aren't allowed past the lobby of the Magic Castle, and the employees make sure to tell you that before every show starts- no photographs or recording, including "selfies and bathroom selfies" about which they act amazed every time they have to specify. Since you won't really be taking many pictures inside, aside from the step and repeat background outside and potentially a photo in front of the bookcase entrance, what you wear doesn't really matter. namely because it's the only place where photos are really encouraged. In front of the magical "open sesame" entrance in the lobby of the castle. If you look closely you can see one of the textbooks above my head is a Harry Potter. I think the dress code was established by the "knights" of the Magic Castle in an attempt to elevate the experience (past tacky tourism) and treat the magic like the art it is. The general vibe that I get from their dress code is that they want the magic shows to be treated with the same respect a patron would give an opera or symphony show. Some people were really overdressed, wearing jewels and gowns of the sort that you would expect to find at an opera. 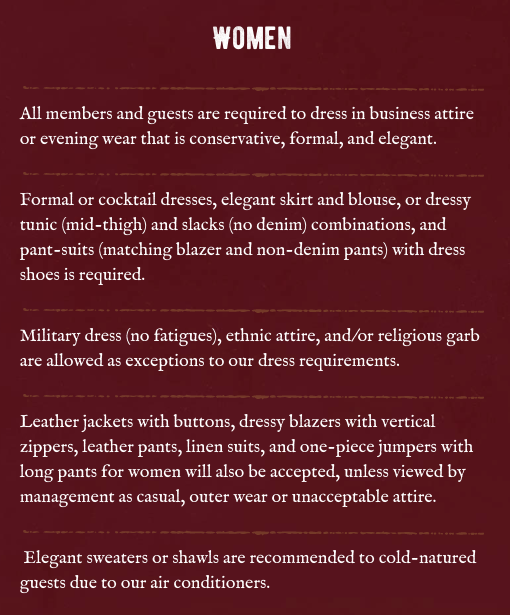 I would recommend that anyone wondering what to wear to visit the Magic Castle should wear the type of attire they would feel comfortable wearing to a semi-formal wedding. The food at the Magic Castle dinner is very very similar to the type of food you could expect at a wedding. I got a 14oz prime rib (instead of the 10oz) because I was hungry and am stubborn. Would I wear a raspberry beret to a wedding? Maybe! If it was cold! Thanks for inviting me, Steven! In sum, my advice: wear to the Magic Castle what you would wear to a wedding.